Knitting and Other Stuff » Blog Archive » C is for Color! 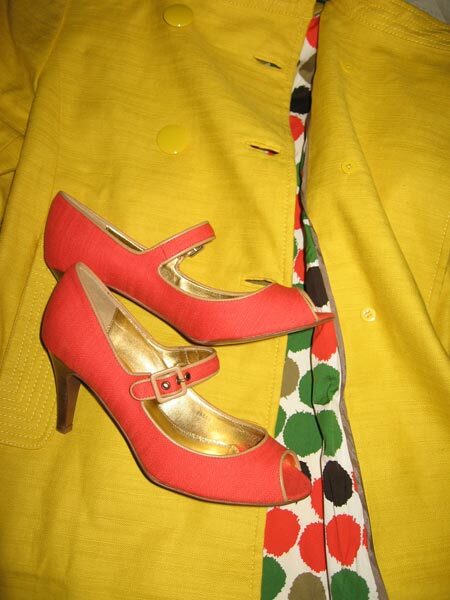 On a dreary, rainy/sleety day, all I can think about is wearing my cheerful new spring clothes. Posted by jackie blue on Wednesday, February 13th, 2008 at 12:47 pm. you will look divine in those colours! Those shoes and that lining are to die for! Brilliant.